BIAFRA: We welcome the report from the Chief Justice of Nigeria (CJN), Mahmud Mohammed, that judges who gave conflicting judgments from precedents set by higher courts are under probe. By the doctrine of stare decisis, a lower court is bound by the decision of a superior court on any issue, when a similar point arises for decision. In the words of the CJN: “I am of the firm conviction that every court in Nigeria is bound by the decisions of the Supreme Court and shall not graft a different outcome from those expressly laid down by the Supreme Court”. 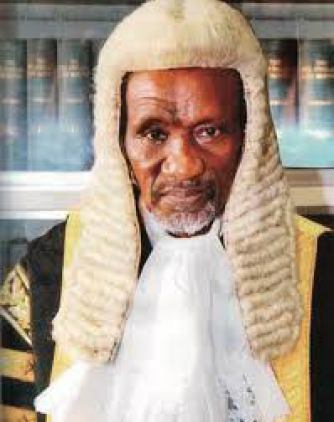 To disregard this standard is an abuse of the judicial process Speaking at a special Supreme Court session to mark the opening of the 2016/2017 legal year, the CJN further observed: “such departures from precedent therefore risk creating the type of confusion which is inimical to the trust reposed in us by the people and we risk our reputations, our integrity and even our existence by such indiscipline”. The words of the CJN are apt, and considering that judges are well versed in these judicial standards, it is strange that some judges wantonly disregarded this general rule. To probe the reason for such fragrant abuse of a fundamental principle of our judicial system is therefore in order. Indeed, with corruption besmirching all aspects of our national life, it is in the interest of the National Judicial Council (NJC) to quickly exercise judges who engage in such bad practice, before the general public ascribes such travesty to the festering corruption in the country. Even more intriguing is that judges of the Court of Appeal were also involved in the disregard of precedents emanating from the Supreme Court. Also recently the country’s judiciary was ridiculed with the conflicting judgments, over the same subject matter, emanating from the high courts, particularly the Federal High Court. Particularly embarrassing was the opportunity granted litigants to choose and pick which of the courts to approach, and which decision of the courts to obey. This was made possible because the judges were willing tools. Indeed, it got so bad that it appeared the judges were monitoring each other, extending their sitting time, and making references to each other, all in other to be seen as superior and to counter the decision made by the opposing other court.